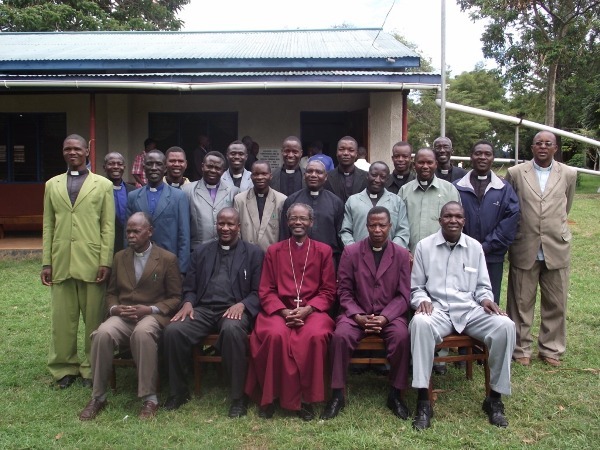 The second Synod of the Diocese of Tarime met at Mogabiri Agricultural Centre (10km east of Tarime) from 5-8th November 2013. The Diocesan Bishop, the Rt. Rev. Dr Mwita Akiri, chaired the Synod. This Synod was attended by 115 delegates from 29 parishes in the Diocese. The Synod had the opportunity to review the three year diocesan plan that was approved at the first Synod in October 2010. The Synod congratulated the Bishop and his team for the major achievements realized. The Synod noted that despite the gains made, Evangelism and Discipleship should remain a major focus of the work of the Diocese. This is due to the fact that 90% of the population in Tarime (approximately 335,000) follow traditional religion and do not attend church. For this reason, the Synod resolved that the Diocese should aim to plant at least 30 new churches in the next three years. This means that each of the 29 parishes should plant at least one new church. 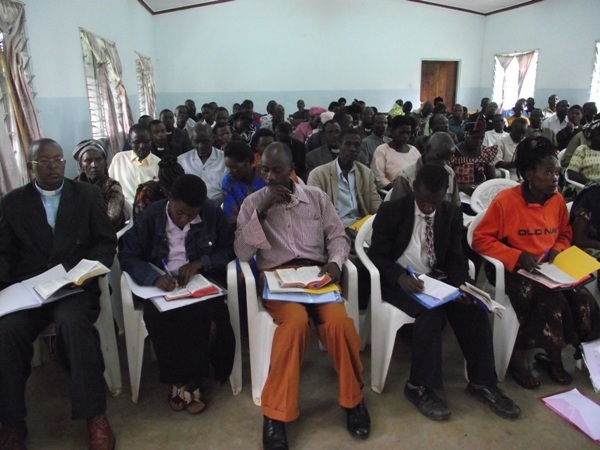 The Synod also addressed the issue of enhancing resource mobilization, and resolved that each parish should have an income project. It was noted that increased parish income would enable the Diocese to support mission and ministry better at parish and diocesan levels than has been the case in the last three years. 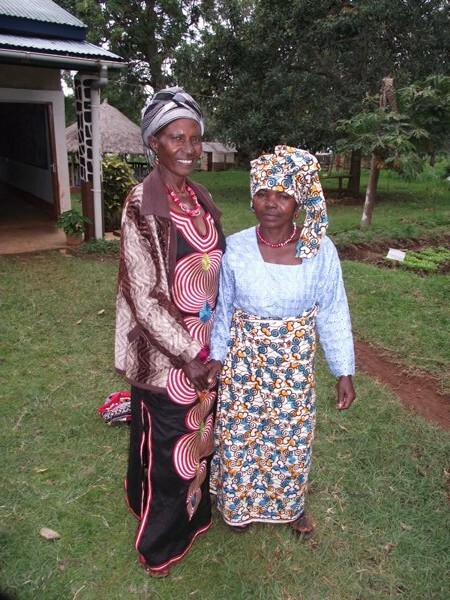 The Synod thanked all the partners of the Diocese of Tarime, both in Tanzania and overseas, especially in Britain, Canada, United States, New Zealand and Australia for their valuable support. 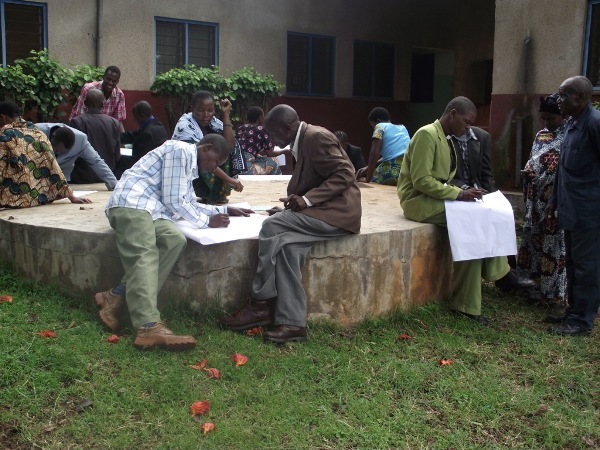 The Diocese held its first Synod from 19-22 October during which the Bishop of Tarime explored with delegates the essence of being Christ’s witnesses in three Bible Study sessions, based on Acts 1:8. The Synod was attended by 99 elected delegates and invited participants. Among other things, the Synod endorsed the three strategy plan for the diocese for the next three years (2011-2013). The plan focuses on evangelism (church planting, training of evangelists, preaching rallies etc), consolidation of the ministry, resource mobilization, and demonstration of God’s love through community projects and programs. The Synod also passed various key resolutions and canons on issues and issued guidelines for starting new parishes, recruitment procedures for catechists and pastors, election of the vestry (church elders), preparation for candidates for baptism, confirmation and marriage. It was resolved that confirmation age be 15 years and the teaching should last six months before a parish presents candidates for confirmation. The Synod resolved that a special fund be started to help with the running of the diocese because the quota from parishes was still very small due to poor Sunday collections from congregations with many Christians who are still young in faith. Members of the Synod pledged to contribute over Tsh1,800,000 (approximately $1300) The Synod also resolved that one Sunday in September be designated for donating to St John’s University of Tanzania besides a pledge of a token annual contribution of Tsh500,000 (approximately $350) from this young Diocese.